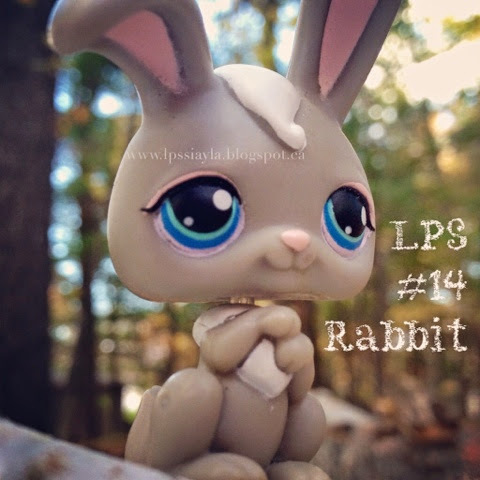 Littlest pet shop #14 is this cute little grey rabbit. I was lucky enough to catch this glimpse of him as he paused before hopping away... He was probably just having a little break from making Easter Eggs! I love his little flopped over ear...he looks so sweet... Don't you think?